The King’s Seat is a family run Restaurant and Bar in the picturesque village of Dollar at the foot of the Ochil Hills in Central Scotland. 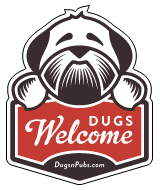 There are a total of 3 dog friendly listings in the Clack’shire category. Please log in, or sign up as a member to view all listings.